Here's a profile on Akinori Iwamura, second baseman for the Tampa Bay Rays, who are currently facing off against the Philadelphia Phillies in the World Series: From Japan to Tampa, Iwamura Lives Up to the No. 1 on His Back. 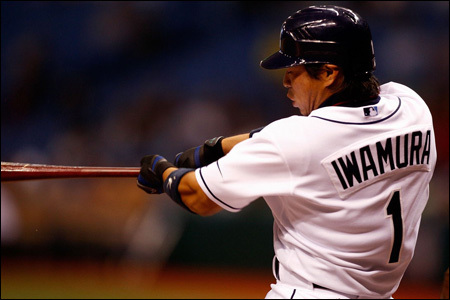 Iwamura was a power-hitting third baseman in Japan, but he has adjusted his game and become a slap-hitting second baseman for the Rays. This season, he hit .274 and led the team with 172 hits and 91 runs. His post-season performance has been decent... except for Game 3 on Saturday, with no hits and no runs scored and strikeouts in several critical at-bats . 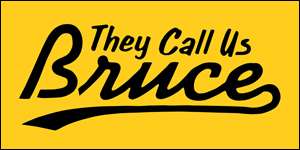 The Phillies won, 5-4, grabbing a 2-1 lead in the series. On a side note, Iwamura is apparently obsessed with the number 1. In addition to wearing the number on his jersey, he has a silver chain with a one around his neck. And when he started training for the 2007 season, he began in Japan on January 11 at precisely 11:11:11 am. Weird.